R.C. 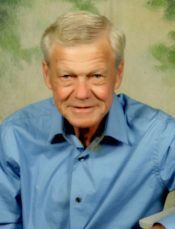 “Sonny” Lewis, age 75, passed away March 16th 2019 at his home in Beulah. He was born November 24th 1943 in Dothan, Alabama to Veeda Mae and Robert Cedric Lewis. He is preceded in death by his parents and one brother, Mickey Lewis. “Sonny” worked in construction for many years in and around the Pensacola area. He was a valued member of Windy Hill Baptist Church. An avid outdoorsman, “Sonny” loved fishing with his buddies, taking care of his family, and visiting with friends. He is survived by his loving wife of the home , Diane; a sister, Barbara Baugraden; an uncle, Bernice Fulford; daughters, Tammy Bruner of Pensacola and Christy Lewis of Houston,Tx; stepson Charles Leonard; stepdaughter Tina Leonard; 4 grandchildren, Kristin, Carl, Josh, and Samantha; 4 stepgrandchildren, Kaley(Ryan), Megan, Katherine and Izzie; 2 great grandchildren;1 step-greatgrand daughter, Londyn; and faithful 4 legged companion, Fletcher. A memorial service will be conducted on Thursday, March 28th at 4pm at Windy Hill Baptist Church 9896 Rebel Rd, Pensacola Fl. (850-944-2246).